Seven-times world champion Valentino Rossi has backed British teenager Bradley Smith to make a big impact in his second year on the world stage in 2007. Rossi praised the MotoGP Academy graduate last season when he claimed the coveted Rookie of the Year prize in the world 125 championship. 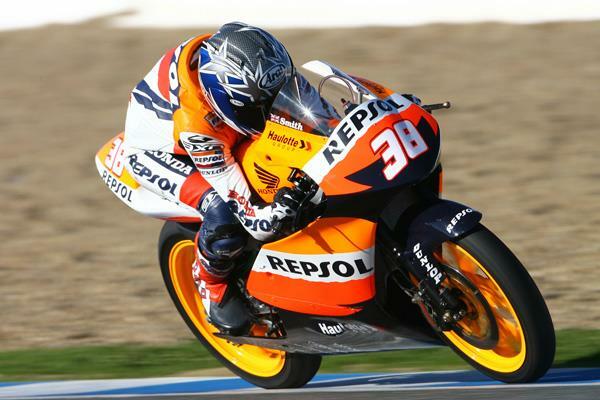 Riding for the Repsol Honda squad under the guidance of renowned talent spotter Alberto Puig, who unearthed talents like Dani Pedrosa and Toni Elias, Smith has emerged as one of the Britain’s brightest young prospects in years.